Studying Rhetoric, Composition, and Literacy at the University of North Carolina at Chapel Hill prepares the next generation of scholars, instructors, and academic leaders for work within and beyond the academy. Doctoral students in this field receive exceptional training through coursework, mentorship, and professionalization opportunities. For information about admissions, visit the graduate admission website. The study of Rhetoric, Composition, and Literacy at UNC-CH is personal and focused. With five core faculty and a small cohort of students, this specialization offers a close-knit community while also challenging students to achieve the highest levels of academic success. Students who make this area their focus boast a high placement rate, and graduates have received numerous dissertation and book awards. Doctoral students who pursue this field of study can expect to gain competency in rhetoric, composition, and literacy studies. The English and Comparative Literature Department encourages students to develop individualized course plans, which permits flexibility and creativity. Within the field, students select an area of focus. The program has strengths in areas such as health humanities, gender studies, disability studies, technology studies, multimodal composition, and digital humanities. Recently, our faculty have offered courses in medical rhetoric, teaching with technology, technical writing, and research methods. In addition to taking courses offered by RCL faculty in the English and Comparative Literature Department, graduate students have developed specialties by taking courses in the UNC Department of Communication (as well as other UNC departments), the Duke University Department of English, the Duke University Department of Religious Studies, the NCSU Communication, Rhetoric, and Digital Media program, and the NCSU Department of English. Incoming PhD students who focus on Rhetoric, Composition, and Literacy are eligible to receive the Erika Lindemann Fellowship, which provides $20,000 for additional summer research support above the annual graduate student stipend for one highly competitive applicant. Achievement in teaching is also recognized through various awards and opportunities. Doctoral students in this discipline gain focused teaching experience. The English Department offers doctoral students (typically after the first year in the program) funding through Teaching Fellowships, which are renewable annually for four or five years. Early on, doctoral students most often teach English 105, the mandatory first-year composition course for all undergraduates. As doctoral students gain more experience, they are invited to teach specialized writing in the disciplines courses as well as courses for the Communication, Rhetoric, and Digital Literacy (CRaDL) minor. Also, doctoral students can gain administrative and leadership experience through various writing program initiatives. For example, doctoral students in RCL frequently serve as the Assistant to the Writing Program Director, Writing-in-the-Disciplines Assistant, and Editor for the Tar Heel Writing Guide, the handbook for first-year students taking English 105. Lastly, RCL faculty prioritize building close mentoring relationships with students. PhD students frequently collaborate with faculty on research projects and publications. One recent example is the UNC Genre Project. In addition to collaborations with faculty, students join a supportive cohort of RCL comrades. This cross-rank cohort meets regularly for a writing group and travels together to local and national conferences. Professor Dan Anderson— Daniel Anderson is Director of the Carolina Digital Humanities as well as the Director of the Digital Innovation Lab at The University of North Carolina at Chapel Hill. He studies digital rhetoric, teaching with technology, and alternative approaches to scholarship. His books on teaching include Connections: A Guide to Online Writing, Writing About Literature in the Media Age, and Beyond Words: Reading and Writing in a Digital Age. He also creates new media performance art and scholarship using the computer screen as a composing space. 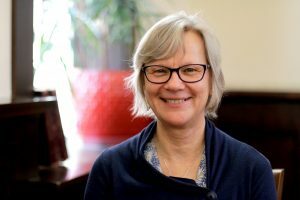 Jane Danielewicz — Director of the Writing in the Disciplines Program and Associate Director of the UNC Writing Program. Books: Teaching Selves: Identity, Pedagogy, and Teacher Education; Contemporary American Memoirs in Action: How to Do Things with Memoir. Spencer-Teagle Foundations Grant for Improvement of Undergraduate Education at Research Universities. CCCC Research Initiative Grant (The Genre Project). Recipient of numerous teaching awards. Jordynn Jack ​– Professor. Books: Science on the Homefront: The Rhetoric of Women Scientists in World War II, Autism and Gender: From Refrigerator Mothers to Computer Geeks. Winner of the 2015 Rhetoric Society of America Book Award, Fostering Interdisciplinary Research Explorations (FIRE) Grant (Writing Diabetes). CCCC Research Initiative Grant (The Genre Project). Feminist Scholarship Award from the Organization for Research on Women and Communication. 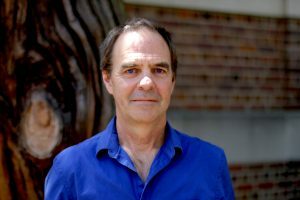 Todd Taylor — Eliason Distinguished Professor, Associate Chair of Department of English and Comparative Literature, Director of the UNC Writing Program. Books: Literacy Theory in the Age of the Internet, A Columbia Guide to Online Style, and Take 20. Former CCCC Executive Committee member, Hugh Burns Dissertation Award for Computers and Writing, Computers and Composition Award for Digital Production for “The End of Composition.” Founder and creator of CCC Online, William Friday University Award for Inspirational Teaching. 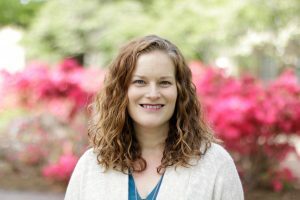 Erika Lindemann – Professor and former Writing Program Director. 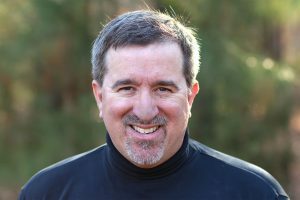 Lindemann is a national leader in rhetoric, composition and literacy studies, recipient of the CCCC Exemplar Award, and author of the award-winning book, A Rhetoric for Writing Teachers, now in its fourth edition. Emi Stuemke (PhD, 2015), Assistant Professor, University of Wisconsin-Stout. Chelsea Milbourne (PhD, 2014), Assistant Professor, California Polytechnic University, San Luis Obispo. Ashley Hall (PhD, 2013), Assistant Professor, Wright State University. Risa Applegarth (PhD, 2009), Associate Professor, UNC Greensboro. Book: Rhetoric in American Anthropology: Gender, Genre, and Science. Recipient of the 2010 James Berlin Memorial Outstanding Dissertation Award from the Conference on College Composition and Communication, New Faculty Research Grant, and Summer Excellence Research Grant from UNCG. Sarah Hallenbeck (PhD, 2009), Duke Post-Doc (five years). Currently Assistant Professor, UNC Wilmington. Book: Claiming the Bicycle: Women, Rhetoric, and Technology in Nineteenth-Century America. Recipient of the 2010 RSA Dissertation Award. Bump Halbritter (PhD, 2004). Post-doc at Stanford. Associate Professor, Michigan State. Book: Mics, Cameras, Symbolic Action: Audio-Visual Rhetoric for Writing Teachers. Recipient of Computers and Composition Distinguished Book Award (2013) and The Richard Ohmann Award for Outstanding Article in College English (2013).